You'll be excused for thinking that May 25th is the Danish version of April 1st. 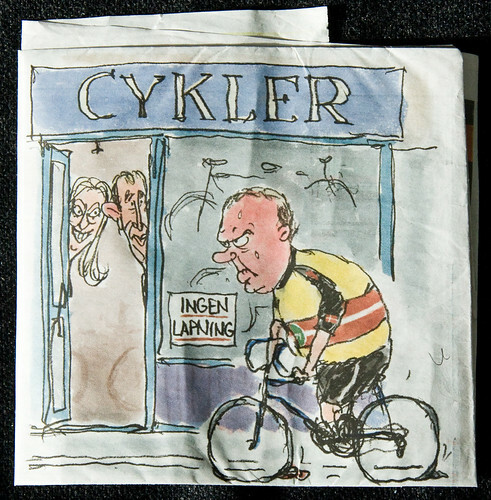 The press last week featured articles about The Danish Working Environment Authority's [Arbejdstilsynet] new rules regarding working conditions in bicycle shops. Bike mechanics are now required to wear gloves and masks when repairing punctures using the vulcanized rubber glue for sticking patches on tubes. In addition, they're required to install a ventilation system in their bike shops. These rules will effectively kill off the possibility of getting a puncture repaired in Denmark. Sure, many people can fix flats themselves. However, many local bike shops [I have 22 bike shops to choose from within a 1 km radius of my flat], earn a fair chunk of their income repairing flats. I always chuck my bike into the shop to have it done. It costs 50 kroner [$10] and if I'm on my way to a meeting, I don't fancy getting my hands dirty or risk getting oil on my suit. It's quick, easy and supports the bike shops. Yes, the purists will roll their eyes, but such is life for many in established bike cultures. "Some of our members have been instructed to a install ventilation system and use masks, but the ventilation system isn't feasible. It's simply too expensive", said Søren Sørensen from the Danish Association of Bicycle Retailers [Danske Cykelhandlere] to Danish TV2. The Association represents over 400 bike shops around the country. A ventilation system can easily cost 100,000 kroner [ca. $20,000] and that is simply out of reach of most bike shops. The 'problem' is the glue used in the process. The Working Environment Authority highlights that short term effects include eye and skin irritation, nausea, headaches, and dizziness. Long-term exposure causes similar effects but can also affect the central nervous system and cause brain damage. Søren Sørensen admits that the only option is putting on a new tube instead of fixing the puncture. 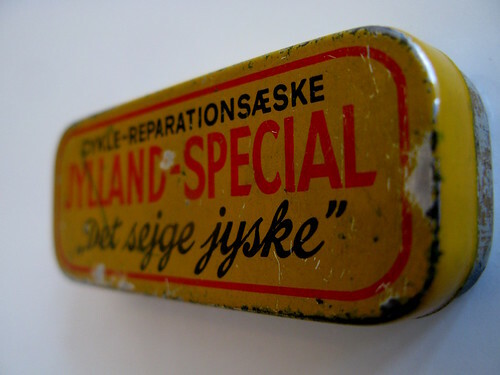 A new tube costs roughly 100 kroner [$20] more than a patch on the old tube. 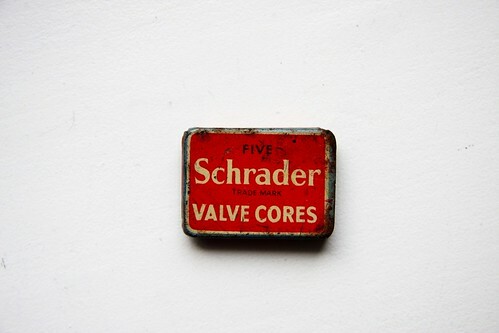 "A new tube is, of course, a better repair option than a patch, so you can't compare it. But in some instances it's overkill with a new tube", says Sørensen. The Association of Danish Bicycle Retailers isn't thrilled about the new rules. Nevertheless, they sent a sign out to members to put in the window stating that they no longer can repair punctures. "We think the new rules are unreasonable. Nobody is patching up tubes from 8 in the morning to 7 at night and I've never seen documentation proving that there is more illness or increased mortality rates among bicycle mechanics", added Sørensen. Indeed, there doesn't seem to be any real documentation about this 'problem'. These new rules are based on "May possibly cause..." instead of "Has been proven to cause several cases of..."
Which is hardly the foundation for rules and regulations. If the Working Environment Authority wishes to be logical, then I am looking forward to their next move: Ventilation systems installed in automobiles used as workplaces, like taxis, minivans, trucks and buses. There are studies that show the level of dangerous microparticles is higher inside of motor vehicles than if you're cycling alongside. So... masks and ventilation systems for these workers who use their cars/vans/trucks for their work. Wouldn't that make sense? At a glance, such rules would certainly have a greater positive health effect than gloves/masks/ventilation for exposure to a few millilitres of rubber glue each day. The war on bikes started by the Danish Road Safety Council continues to enlist the strangest mercenaries. It really is rather ridiculous. Fortunately, none of the bike shops that I frequent are bothered by this and I shall continue to have free access to tube repairs and, in the process, continue to support these shops. Via: TV2 and assorted media. The Danish Working Environment Authority has, on our recent visit, determined that there is bad air in your bicycle tubes, which can in the long run cause serious lung infections in your employees. We have also seen that in your bicycle sale you have a large number of pannier racks on offer, which can cause serious injuries, including broken bones if your finger gets caught in one. We hereby ask you to immediately establish a ventilation system for your bike tubes according to European Union environmental standards, as well as put up warning signs and alarms near the pannier racks you have on display. And it didn't take long for a cartoon like this to appear. The Prime Minister Lars Løkke Rasmussen cycling on flat tires rolls past a bike shop with a sign in the window reading "No Puncture Repairs". The two leaders who stand to win the next election - Helle Thorning Schmidt and Villy Søvndal - are peering out with glee at the hapless PM. As seen in Berlingske Tidende newspaper.